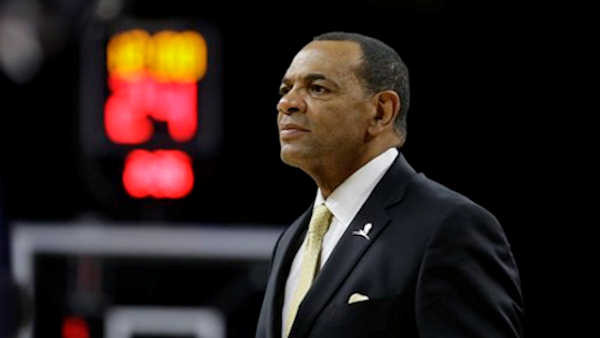 NEW YORK (WABC) -- The Brooklyn Nets have fired their head coach Lionel Hollins and reassigned their general manger Billy King, citing the time "for a fresh start and a new vision for the direction of the team." The team's owner, Mikhail Prokhorov, is holding a press conference at 10 a.m. Monday at Barclays Center to discuss the changes. The Nets do not have a game Sunday. They have a home game on Monday night against San Antonio. For the remainder of this season, Assistant Coach Tony Brown will serve as interim head coach. The GM position will remain open until a replacement is named. "After careful consideration, I've concluded that it's time for a fresh start and a new vision for the direction of the team," said Nets Owner Mikhail Prokhorov. "By making this decision now, it enables our organization to use the rest of the season to diligently evaluate candidates with proven track records. It's clear from our current state of affairs that we need new leadership. With the right basketball management and coach in place, we are going to create a winning culture and identity and give Brooklyn a team that it can be proud of and enjoy watching. We have learned a great deal during the past six years and our experiences will guide us for the future. Following the consolidation of team ownership last month, I can assure you that I'm more determined and committed than ever to build a winner." King was named as the Nets' GM on July 14, 2010, and was in his sixth season in that role. During his one and a half seasons as Nets coach, Hollins had a regular season record of 48-71 and guided the team to the first round of the NBA Playoffs last season. The Nets have lost four in a row overall and nine straight at home, where attendance has dwindled at the $1 billion Barclays Center. The Nets had made the playoffs every year since relocating for the 2012-13 season, but they are 10-27, better only than the league-worst Philadelphia 76ers. King had been GM since 2010, orchestrating a number of high-profile moves that led to just one playoff series victory. Hollins was in his second season as coach. King worked hard to fulfill Prokhorov's goal of winning a championship within five years of buying the team in 2010, making blockbuster trades that brought in Deron Williams, Joe Johnson, Paul Pierce and Kevin Garnett. Only Johnson remains, as the Nets decided to cut costs after at one point owning the largest payroll in league history. But they haven't been competitive now and have little hope of a quick fix in the future, as their first-round pick next season goes to Boston as part of the payment from the deal that brought Pierce and Garnett in 2013. "At every step of the way, he has been aggressive in his quest to build a winning team and has been a key factor toward the Nets making the playoffs for each of the last three seasons," Prokhorov said. Hollins went 48-71 and, like predecessors Avery Johnson, P.J. Carlesimo and Jason Kidd, didn't last long in Brooklyn.